French agronomist Catherine Geslain-Lanéelle met reporters on Friday (25 January) to present the priorities of her campaign for the top UN job vacancy in Rome. Although she is running as a French candidate, she is also backed by the other EU member states after an informal process concluded during a meeting of EU farm ministers in October. 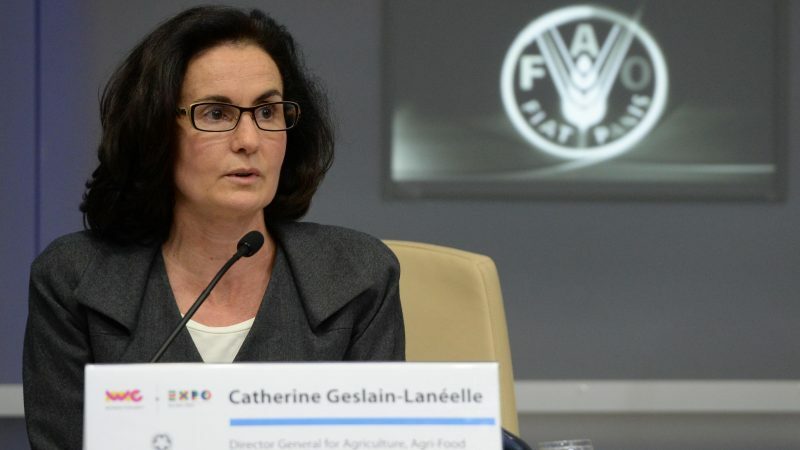 The former head of the European Food Safety Authority (EFSA), Catherine Geslain-Lanéelle, will kick off her campaign to lead the UN food and agriculture agency today (16 October), after being endorsed as the sole EU candidate. 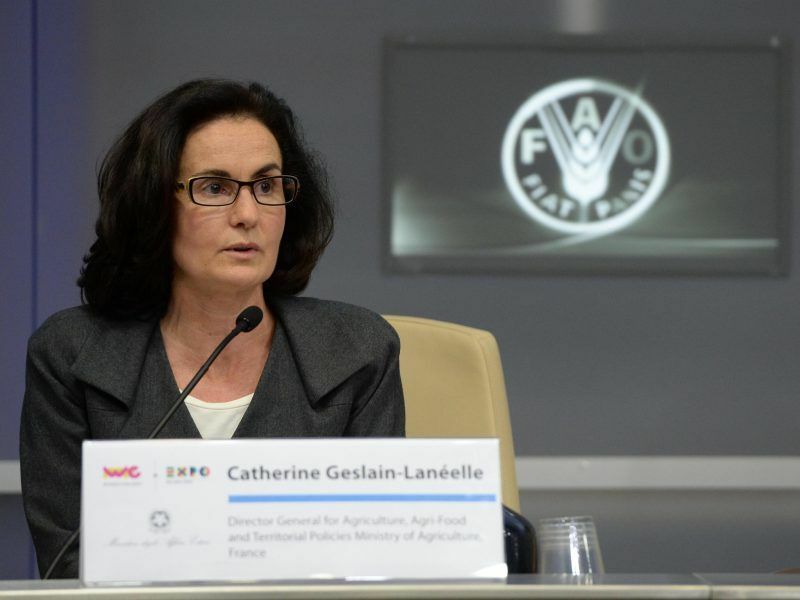 Geslain-Lanéelle said she is pleased with being the first EU candidate running for the FAO job, adding that the EU has shown its support at all levels so far. That includes the administrative bodies of the European Commission – the European External Action Service (EEAS), the directorates for development cooperation (DEVCO), agriculture (AGRI), maritime affairs and fisheries (MARE), and health (SANTE) – as well as EU Commissioners Phil Hogan and Neven Mimica, who recently made public appearances with her. 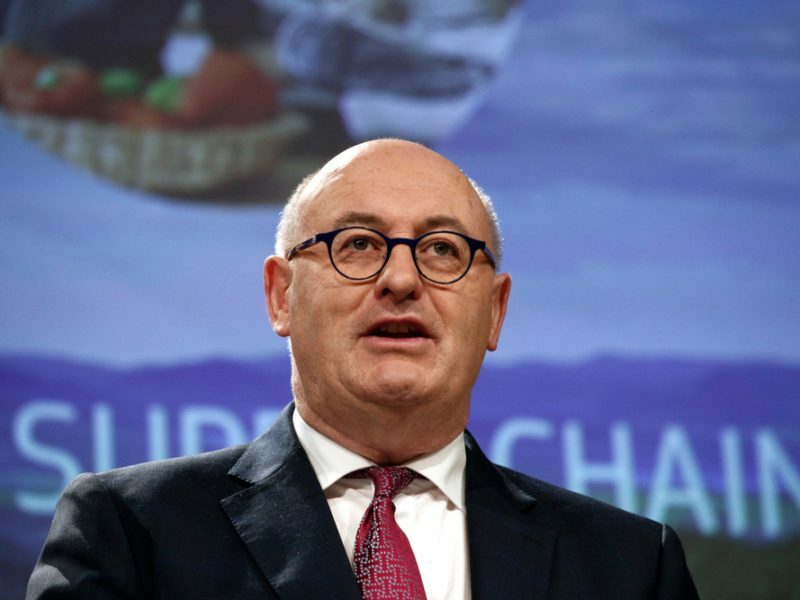 France supported the concept of a sole European runner in order to increase the chances of success and to avoid the mistakes made in the last FAO election, when Europe failed to submit a joint candidate. In 2011, Franz Fischler, a former Austrian Commissioner, and Miguel Ángel Moratinos, Spain’s former foreign minister, went head to head. The latter lost 88 to 92 in the second round against Brazilian candidate Graziano Da Silvia, the current FAO director-general. “We have solutions that will enable to produce more and better,” she told reporters referring to the biggest goal of feeding the planet in a sustainable way. EURACTIV.com asked her if among these solutions there is a place for gene editing and the new plant breeding techniques (NPBTs), that are recently in the spotlight due to a recent European Court of Justice (ECJ) ruling that compared them to genetically modified organisms (GMOs). She answered that she will deal with NPBTs at FAO level if elected, adding that she does not believe in a single solution but rather in a mix of solutions for boosting the production. “I remember that influential thinkers like Malthus said in the past that we would not able to feed a growing global population, but we did it thanks to scientific progress and technology transferred to the agriculture sector,” she said. According to her, scientific progress was important in trebling world agriculture output but now science needs to be consulted again in order to keep producing in the most durable and sustainable way as possible. Also on pesticides, she is in favour of reducing the massive use of chemical products, but she is not against them: “a farmer needs tools to fight against a number of risks, including plants illnesses”. Geslain-Lanéelle led the European Food Safety Agency (EFSA) from 2006 to 2013. Referring to her experience at the EU agency, she said that it changed her way of working, particularly regarding transparency and openness to dialogue with other actors, from farmers to networks of civil society. “From my working period at EFSA, I bring with me and I would put at the service of FAO the knowledge and the experience of working in a multicultural organisation, as well as strong expertise on food safety and protection of the environment,” she said. The election of the next FAO director general will be held in June, bringing together all 194 member states of the international organisation, while the mandate of the current head Graziano da Silva will expire in August. The race is expected to put a European against an Asian candidate, although there is formally no rotation principle at the top of the UN agency. During the press briefing, Geslain-Lanéelle confirmed that other candidates have arrived from China and India. EURACTIV was informed that Georgia’s David Kirvalidze, an adviser to prime minister Bakhtadze Mamuka and member of non-profit organisation CNFA, will also launch his own bid. But FAO will not publicly disclose other candidates until the closing of the procedure at the end of February, a spokesperson said. The last European to head FAO was Dutchman Addeke Hendrik Boerma, whose mandate lasted from 1968 to 1975.